I’d always been interested in the Atelier series for its pretty art style, but there seems to be more to Atelier Lydie and Suelle than its pretty paintings. 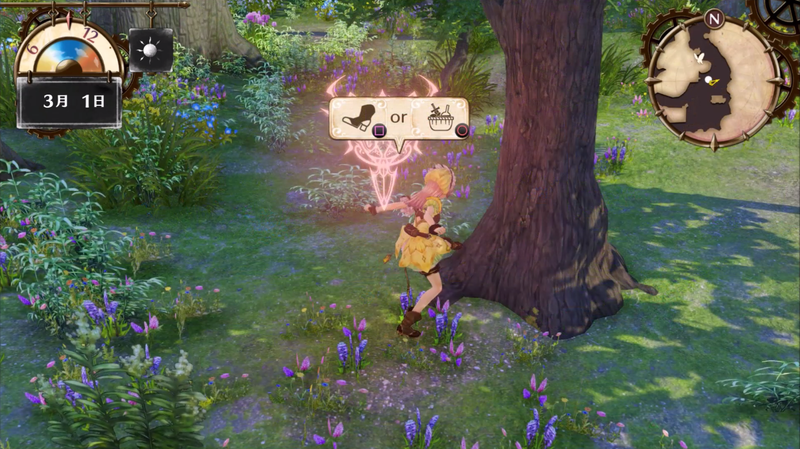 Atelier Lydie and Suelle’s delightful looking world contains plenty to collect and find to synthesise and make items with, with the charming and well-designed characters backed by interesting alchemy systems. While the Japanese PS4 demo was a mostly visual experience for me, the world and alchemy systems of Lydie and Suelle have kept me curious about this new addition to the Atelier series. Atelier Lydie and Suelle is based around two young twin alchemists called Lydie and Suelle who work at their father’s small Atelier. The two girls, the fun tomboy Suelle and the quiet and kind Lydie, share a common goal: they want to turn their Atelier into the best one in the country. This goal is set in motion when one day they somehow end up inside one of their father’s paintings with many rare and wonderful ingredients for alchemy at their disposal and the demo’s story follows their humble beginnings of trying to become higher ranked alchemists in their town, with the girl’s close and supportive relationship helping them overcome challenges along the way. With the language barrier in place, the things that stood out to me from the characters of Atelier Lydie and Suelle were often their character designs and demeanours, with each character bringing their own feeling to the story. One thing I noticed in it was how light and fun the portrayal is, with humourous dialogue sprinkled throughout and little conversations before the girls go to sleep or in its towns and areas really giving it that Slice of Life feel that Atelier games promise. I played for a generous three hours that featured three chapters in its Japanese demo and while the plot spent a lot time in big conversations with characters than I couldn’t understand, a fun tone was carried across throughout the experience and with a good localisation I can see these characters being very enjoyable to spend time with in this alchemy journey. Since the goal in Atelier Lydie and Suelle is to be a great alchemist, the gameplay revolves around collecting items for various alchemy missions to help improve Lydie and Suelle’s skills. 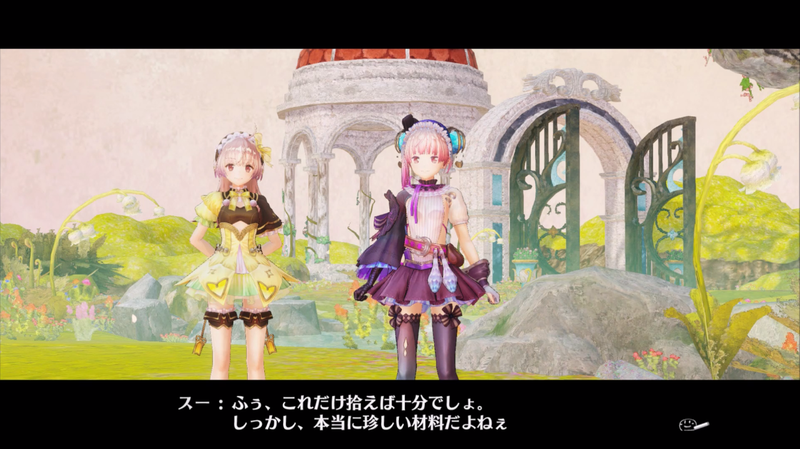 A lot of this gameplay involves getting all the items needed for recipes and quests and if you’re only used to games with alchemy and recipes as a side mechanic, Atelier Lydie and Suelle stands out in the way it makes this the main one. The main missions in its demo gave me a recipe and had me finding its various bits and pieces, whether from fighting enemies or picking them up from bushes or kickable trees. Then these items are synthesized together to try make a successful creation and while I didn’t understand all of its intricacies with item rankings and its puzzle-like stat determining board, it was deeper than other alchemy systems I’ve played in JRPGs. There weren’t any crazy bosses in this demo, so the impression I got from this demo is that its gameplay will likely be a fun but relaxed journey to complete its various quests and recipe-based missions but with its pretty landscapes and the great music I’ve come to expect from Gust games, it is a pretty fun experience if you don’t mind a more relaxed JRPG experience. A big part of what attracted me to Atelier Lydie and Suelle was its visuals and I feel like I got one of the best visual experiences by playing it on PS4. I found Atelier Lydie and Suelle to be very gorgeous with its painterly art style with plenty of colour in both its towns and magical painted worlds, all featuring beautiful, vibrant colours. 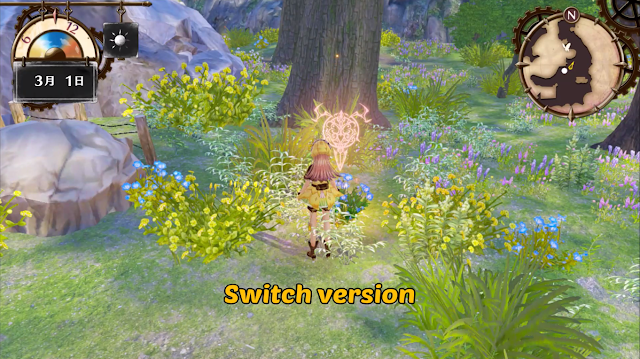 Since I also had access to the Switch version, I had to check it out too after seeing some difference between it and the PS4 version in screenshots from it in a Siliconera article months ago and sure enough, the textures used on the Switch version are not as sharp and detailed as the ones on PS4. While I haven’t played the PC version, having played predominantly the PS4 version and seeing how sharp and nice it looks, that seems to be the one of the best versions of Atelier Lydie and Suelle for those trying to decide between the PS4 and Nintendo Switch version of the experience and while I love the portability of my Switch, I was happier with the smooth, vivid visuals the PS4 version had. Promising potentially many recipes and quests to fulfill, Atelier Lydie and Suelle’s painterly demo of collecting materials to make recipes for its colourful characters has me curious so far. While its demo wasn’t full of big enemies and plot twists like I usually enjoy in JRPGs, the charming characters and visuals created a light slice of life atmosphere that fit its theme of two characters supporting each other getting better well. I still have a lot to learn about its story and systems, but Atelier Lydie and Suelle’s generous demo made me more excited for it come out and I can’t wait to spend more time in its pretty, colourful world. You can pick up Atelier Lydie & Suelle on Amazon! 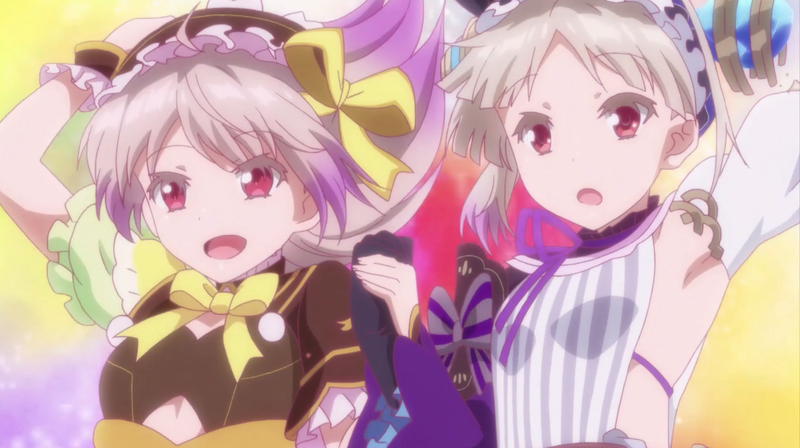 Will you play Atelier Lydie & Suelle? And if you played the other Atelier games, what did you think of them?